Novak Djokovic’s relieved “this is exactly what the doctor ordered’’ response to Nine’s Jim Courier during Wednesday’s post-match interview brought to mind Andy Roddick’s famous line from 2008 when discussing a young Djokovic’s lengthy illness and injury record. It was, safe to say, not terribly well-received by Djokovic, who responded by eliminating the American in the quarter-finals, and then being booed by the New York crowd for challenging the local favourite: “That’s not nice anyhow to say in front of this crowd that I have 16 injuries and I am faking it,” he said, miffed. After the ensuing locker-room confrontation at Flushing Meadows, the story resumed a few months later at the Australian Open. Guess what? Djokovic retired in the fourth set of their quarter-final citing a different complaint: ”heat illness”. Roddick, shame on him, had forgotten to list that one. Ten years on, Djokovic is still not feeling the same unconditional crowd love that the likes of Roger Federer and Rafael Nadal routinely inspire. On Friday night, too, his semi-final opponent Lucas Pouille will have the underdog status that appeals to many of those who will be shoe-horned into a baking Rod Laver Arena. But, although extreme temperatures are forecast again, this match will be an evening rather than a heat-of-the-day fixture, and - before and after the elbow injury that contributed to his fourth-round loss to Hyung Cheong here last year - Djokovic has since proved his resilience many times over. At 31, he owns 14 singles majors - six of them the Australian variety. His super-epic 2012 final here against Nadal lasted almost six gruelling hours, and earned a bellowing, bare-chest-thumping celebration that lives long in the memory. Twelve months ago, certainly, was a less happy time. “A lot of thoughts went through my mind. 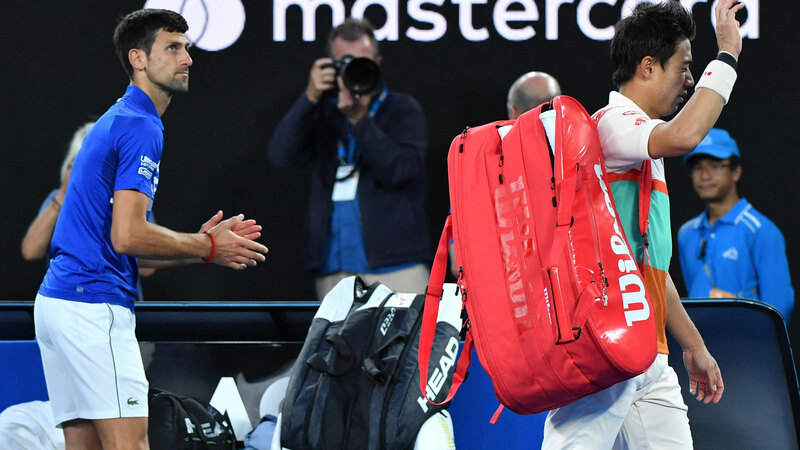 Good ones and not so good ones,’’ Djokovic told Nine’s Wide World of Sports after a quarter-final cut short - mercifully in his case - by Kei Nishikori’s injury retirement during the second set. “There was a lot of doubt, I must say, but that’s what made that process very unique for me, and I think if I could turn back the time I wouldn’t change anything, because when you are down that’s when you learn a lot about yourself and that’s where you can have an opportunity to rise even higher and even stronger, and that’s what I felt like this journey has been like for me in the last 12 months. If Djokovic is the old hand at this, then not only is it the first major semi-final for Pouille, 24, but also his first career meeting against the top seed. 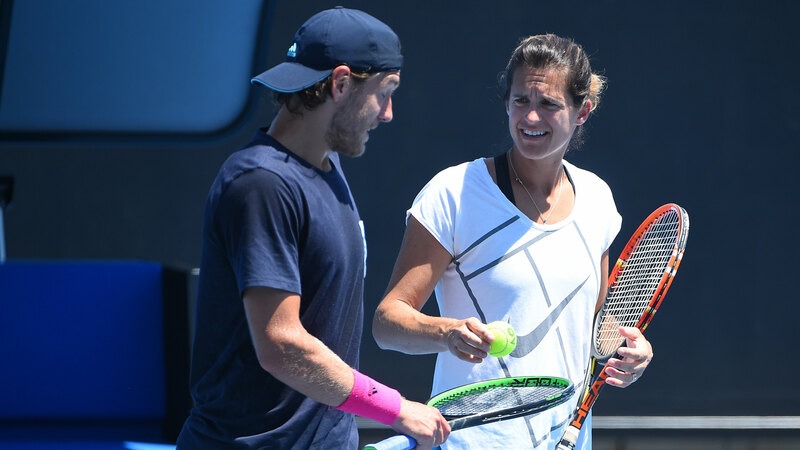 A disappointing 2018 in which he lost “the joy” of playing and practising prompted a late-November approach to respected coach Amelie Mauresmo to head his new-look team. “He’d had a tough year, as you know, and he had the kind of commitment, intensity, ambition that I liked to hear,’’ said Mauresmo, the 2006 Australian Open and Wimbledon champion who worked with Andy Murray for almost two years. A focus on improved returns paid off handsomely against Milos Raonic in the quarter-finals and shot selection has been another clear improvement for the 28th seed, who in five previous Australian Opens had never even won a round. This year started with a trio of losses at the Hopman Cup and a first-up exit in Sydney, but the grand slam results have come earlier than either coach or player expected. “He’s a very quick learner, I think his desire to do everything it takes to be the best player he can be is really strong and it’s showing that and he’s been improving every match. His game has really built up throughout the tournament, so it’s great to see,’’ Mauresmo told Wide World of Sports. Asked to nominate the unique challenges the Australian Open presents, Mauresmo nominated the heat and wind, and both could be factors should the roof remain open for the men’s semi-final. But new territory for Pouille is a happy and healthy place where Djokovic has been on six previous occasions - and ended with the champion Serb's hands wrapped around the Norman Brookes Challenge Cup each time.